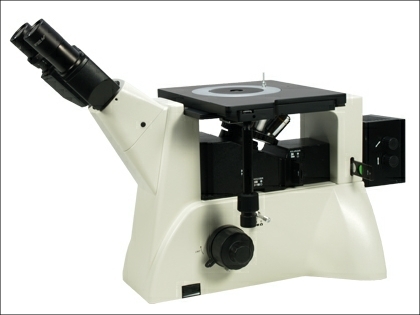 The Brunel SP105M is an inverted metallurgical microscope available as either a brightfield or brightfield/darkfield system.  Both models have infinity plan achromatic objectives of the UIS standard. 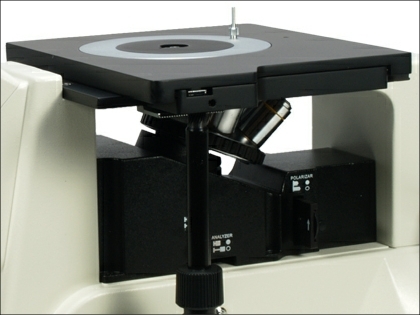 The microscope stand itself is of a very modern design, with easy access to all parts. A particularly notable feature is the low position side port for photography and CCTV. This position avoids the traditional trinocular configuration, and therefore improves the visibility and access of the stage area. The stage measures 242 x 200mm with a long drop down coaxial control mechanism. There is a removable centre circle and specimen clamp. The eyetubes are inclined at 45° with an interpupillary adjustment of between 53 to 75mm. The light source has an integral filament adjustment control and is 6 volts 30 watt for the brightfield (SP105M) and 12 volt 50 watt for the brightfield/darkfield (SP105MBD). Both units have both field and aperture diaphragm control allowing Kohler illumination. Focus is by movement of the objective turret and the coaxial coarse and fine focus controls have tension adjustment and a variable focus stop. The objective turret is backward facing and quintuple. 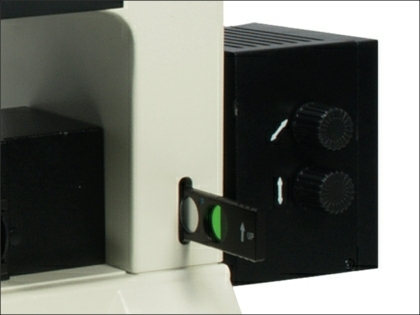 Both models have polarisation, with both the analyser and polarising filters on push/pull mechanisms. Additionally the polariser can be rotated through 360° by a thumb wheel. Frosted glass, yellow, green and blue filters are also fitted. 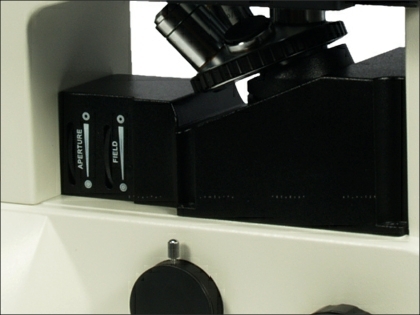 Both the SP105M and SP105MBD are ideally suited to video and still image production, and we have USB digital cameras of 5M and 10M resolution that are parfocal with these microscopes. However image capture is an area we specialise in and would be pleased to design the appropriate system for your needs. The SP105M series has a range of accessories available from our online shop.